The Kentucky Arborists' Association is a professional organization representing arborists and the tree care industry in our state. 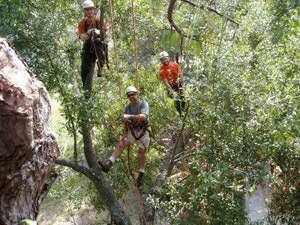 We provide workshops, training, certification exams, an annual conference and the Kentucky Tree Climbing Championship to promote our industry and support Kentucky's arborists and tree care specialists. A BIG THANKS GOES OUT TO DR. BILL FOUNTAIN! Please contact us ISA directly for any questions regarding the exam.